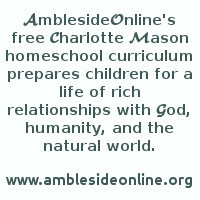 As a help for scheduling Year 7 Basic Version of AmblesideOnline's curriculum, we are pleased to offer printable charts, the weekly assignments in list form below, or families may choose to use a modification of either for their own personal use. However, please see Our Fair Use Policy before sharing any part of the curriculum. Age of Chivalry ch 1 Introduction; ch 2 Mythical History of England to "embalmed in literature, we will mention." How to Be Your Own Selfish Pig: What kind of a place is this? The Brendan Voyage ch 2 The Idea to "near the mouth of the creek." The Brendan Voyage ch 2 The Idea from "It was an unforgettable day" to "accidentally had fallen open." The Brendan Voyage ch 2 The Idea from "An important name kept cropping up" to end of ch. The Brendan Voyage ch 3 Building to "first-class handcream." The Brendan Voyage ch 3 Building from "On the afternoon we finished" to "welded together." Churchill's Birth of Britain, ch 6 The Vikings OR Arnold-Forster ch 7. The English Kings from Edward "the Elder" to Edward "the Martyr"
The Brendan Voyage ch 3 Building from "Once we had mastered the back-stitch" to end of ch. The History of English Literature for Girls and Boys ch 9 "The Passing of Arthur"
The Brendan Voyage ch 5 Gaeltacht from "We were making satisfactory progress" to "She's his wife." The Brendan Voyage ch 5 Gaeltacht from "So I went up to the Presidential" to end of ch. The Brendan Voyage ch 6 Hebrides to "ploughed forward in a world of our own." The Brendan Voyage ch 6 Hebrides from "The sea was about to teach" to end of ch. The Brendan Voyage ch 7 The Sheep Islands to "powerful skuas struck at them." Churchill's Birth of Britain, ch 12 Henry Plantagenet OR Arnold-Forster ch 15. William II, "The Red King"
The Brendan Voyage ch 7 The Sheep Islands from "For two days Brendan made" to "we would have been in real trouble." The Brendan Voyage ch 7 The Sheep Islands from "Scarcely had the words left" to end of ch. How to Be Your Own Selfish Pig: 8 You don't think anyone's going to hell, do you? The Brendan Voyage ch 8 Faroes to Iceland to "realism of the original medieval text." The Brendan Voyage ch 8 Faroes to Iceland from "But not all the sea monsters" to "reduced the wind's chill." The Brendan Voyage ch 8 Faroes to Iceland from "Food became the number-one" to end of ch. The Brendan Voyage ch 9 Island of Smiths to "safely afloat once more." The Fallacy Detective Lesson 20 What is a Generalization? The Brendan Voyage ch 9 Island of Smiths from "The director of Iceland's telecommunications" to end of ch. The History of English Literature for Girls and Boys ch 19 "Piers the Ploughman"
The Brendan Voyage ch 10 Emergency to "and then calculate our speed." The Fallacy Detective Lesson 22 What is an Analogy? Churchill's Birth of Britain, ch 19 Bannockburn OR Arnold-Forster ch 23. Edward I and "The Breaking of Wales"
The Brendan Voyage ch 10 Emergency from "Friday the thirteenth" to "down to a safer margin." The Brendan Voyage ch 10 Emergency from "Then it was time to pay out" to end of ch. Churchill's Birth of Britain, ch 21 The Long-Bow OR Arnold-Forster ch 25. Edward II--"The Making of Scotland"
The Brendan Voyage ch 11 Greenland Sea to "it should be somewhere." Churchill's Birth of Britain, ch 22 The Black Death OR Arnold-Forster ch 26. Edward III--"The Ruin of France"
The Brendan Voyage ch 11 Greenland Sea from "Arthur always had the bad luck" to "unable to fly due to bad weather." The History of English Literature for Girls and Boys ch 23 Chaucer - "The Canterbury Tales"
The Brendan Voyage ch 11 Greenland Sea from "On May 29 Brendan at last" to end of ch. Whatever Happened to Penny Candy ch 14 Where Do We Go From Here? The Fallacy Detective Lesson 27 What is Propaganda? The Brendan Voyage ch 12 Puncture in the Ice to "been a very close call." The Brendan Voyage ch 12 Puncture in the Ice from "Trondur and Arthur were soon up" to "growler lying in Brendan's path." The Brendan Voyage ch 12 Puncture in the Ice from "As soon as the first watch ended" to end of ch. Churchill's Birth of Britain, ch 26 Joan of Arc OR Arnold-Forster ch 30. Henry VI--"The Freeing of France"
The Brendan Voyage ch 13 Land in the West to "clothed in imaginative detail." The Brendan Voyage ch 13 Land in the West from "Where, then, was the Land" to end of ch. Last update July 7, 2017 - various books were spread out more evenly across the year.